1. Janie gives a true/false quiz on Women and Gambling facts. Coach Fav and Janie discuss the correct answers to the quiz. 2. Janie talks about a new casino being built across from Mandalay Bay on the Las Vegas Strip. “Astral” is the name of this new casino resort. It will have 620 rooms, underground parking, a sky lobby and a rooftop pool. Of course, it is in walking distance of the new Raiders Stadium. 3. Top women poker players listed. 7. Coach Fav’s comments about Janie always wants to go to a newly opened casino. Astral casino construction ( across from) Mandalay Bay begins in 2020. We will be there shortly after it opens. 2. We replay a phone call to our voicemail from a California gambler (John) regarding his views of Dice Control. We generally agree with the caller but with some exception. the longer one plays, the casino wins in the end as odds are stacked on their side. 5. Janie highlights the Rugby Sevens Parade of Nations Rally featuring 200 athletes from 16 Nations; in addition, also she describes the Nascar Arrival Parade in Las Vegas. Linq Courtyard where the High Roller (Big Wheel) is. A day of fun for us. 7. The appeal of free slot play takes Janie and Coach Fav to Fremont Street where Janie has organized the day around free slot play coupons. Our free slot play and match play coupons are from the Rewards Book associated with a subscription to the Las Vegas Advisor Newsletter by Anthony Curtis and the American Casino Guide. Both of these “coupon” items are well worth the money, simply amazing deals. 8. MS Kondo’s (author of “Tidy Up”) method of folding and storing clothes “sparked joy” with Coach Fav as he now takes a much smaller suitcase to Las Vegas, packed the Condo way. Part I. We play and respond to a phone call from a craps “high roller” in Colorado. Coach Fav responds to caller’s concerns and explains the mystery of why his book on craps play is no longer available. Does Coach Fav acknowledge a second book is being written? Our focus on low roller play is tied to Coach Fav’s concern about gambling getting our of hand and hurting marriages and families. Yet, if one can truly afford to bet big, the limit of your bets is up to you without any negative judgement from us. 1. Janie explains who Marie Kondo is and that her message is sweeping the country. 2. Coach Fav defines her Japanese Metaphysics with respect and admiration. 3. Janie and Coach Fav embrace the significance of “sparking joy” in one’s life. 4. A review of how the packing for flights to Las Vegas have been changed by these values. Contact our voicemail 24/7 — 1-724-519-4556. We welcome your comments, questions, and trip reports. Join our Facebook Group: Casinos USA. Follow us on Twitter: @casinosusa2017. Visit our webpage: www.casinosua.bet Thanks for listening. Caution: Baby Sitting Services in Las Vegas have specific rules. Check with the concierge in the LV Strip hotel where you are staying. Do this before you go to Las Vegas. 3. If the established point is not a 6 or 8, place them for $6 each and keep them up for two hits; then take them down. Make your own decision on this. 4. If the established point is a 6 or 8 make another choice: Deal or No Deal. Either put odds behind the pass line and lift the Don’t Pass Bet and odds or not. Again, playing the 6 or 8 from the pass line is Deal or No Deal – Your choice. Remember that a Don’t Pass bet can be lifted. A pass line bet cannot. Any odds bet can be lifted from either line. D. Janie reviews an article from Travelzoo.com. 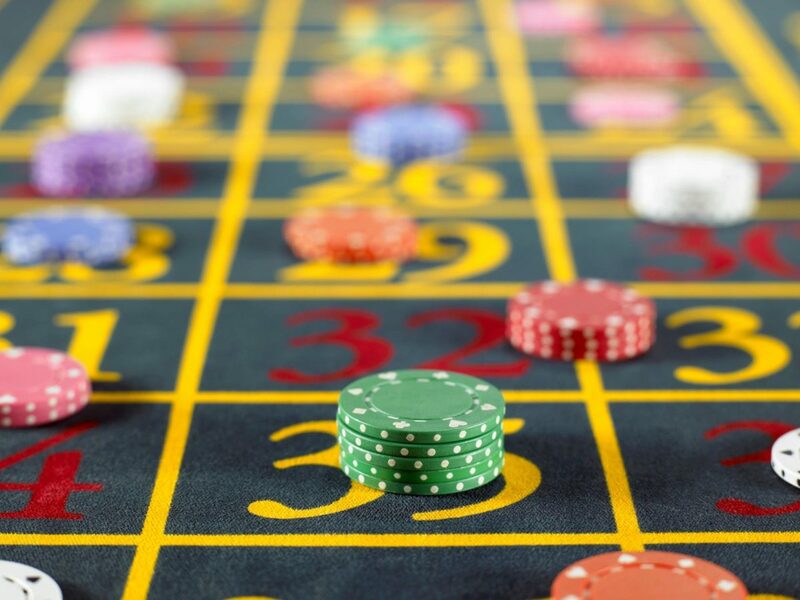 Part 1: Never fight a winning or losing streak thinking that the opposite bet is due when the outcome is pretty much one or the other -for example, red or black bets in Roulette. Things are never due; thinking that way is called the “Gamblers Fallacy.” In Baccarat Banker and Player bets fall into this category as does Pass line or Don’t Pass Line in Craps. Things would even out after thousands and thousands of plays, but that is not happening in the short term. Famous Craps player Jimmy the Greek felt that it was wise to stop betting rather than fight a streak. In his case, he only played the Don’t Pass Line. If a hot shooter was beating him, he would just stop betting until that bettor lost rather than fight it by continuing to bet against the shooter. We suggest “jumping on a steak” as we did with 8 yo’s in a row (11’s) at the Blue Chip Casino in Michigan City, Indiana. Coach Fav has made the mistake of fighting a streak in the past and now has wised up. Why keep betting the same way if you are losing? Join the parade while it lasts. Don’t fight a streak – jump on it. Part 2: Sports Betting in Pittsburgh is now legal at The Rivers Casino, which is close to PNC Park (Home of the Pirates) and Heinz Field (Home of the Steelers and the University of Pittsburgh (Football Teams). Part 4: Explaining the Spread Bets and Money Line bets in Sports Betting… No right or wrong here. To comment or question call our voicemail at 1-724-519-4556. Join our Facebook group at Casinos USA. Visit our website at www.casinosusa.bet. All of our podcasts are archived there on the podcast page. 7. Bally’s new Lobby Bar large and impressive (Janie agrees). 8. Coach Fav wins $180 Bally’s Sports Book on an over bet (63.5) LA Rams vs KC. 105 points scored! Thanks to Geoff for this call. 9. “Narcy at the Ellis Island Players Club is so helpful, sweet, and kind,” says Janie. Janie goes on to win some nice money from slot play and also qualifies for a free pumpkin pie and other treats. 11. Lounge Entertainers at Ellis Island reminds Coach Fav of a song (Tulsa Time) one of his college roomates at Notre Dame sang the entire Freshmen year. 13. Coach Fav almost loses his shirt (down $1400) at the Bellagio while playing smart craps at a $25 table with $100 in odds on pass line bets and two of his come bets, but he is saved from total disaster by one hot shooter. Learned that $375 often on the table is too much of a gamble (for me) so early in the week. Close call. Lesson Learned. 14. A now careful (after Bellagio) Coach Fav uses a 6-8 place bet strategy, pressing once ($10 table) and coming down after 4 hits during the final 2 days of craps play at Bally’s and departs our four day stay with more than $600 from 7 hours of craps play. Sweet! Call our voicemail at 1-724-519-4556 to comment or ask a question, follow us on Twitter @casinosusa2017 and follow us on Facebook at Casinos USA.